Tuberculous meningitis in Bacille Calmette-Guerin-vaccinated children: clinical spectrum and outcome. 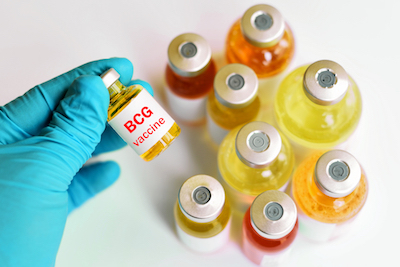 The Bacille Calmette-Guérin vaccination (BCG) contributed widely to reduce tuberculosis incidence in developing countries. 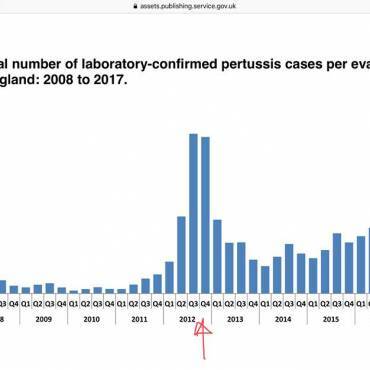 The aim of this report was to assess the clinical “spectrum” and outcome of tuberculous meningitis in 16 Bacille Calmette-Guérin-vaccinated Tunisian children. They were 9 boys and 7 girls aged 2 to 168 months (median 72 months ± 65.88). Patients presented mainly with nonspecific symptoms. Neurologic severity was classified as grade I (n = 6) and grade II or III (n = 10). At short-term course, the majority of patients developed serious complications: hydrocephalus (n = 12), seizures (n = 8), tuberculoma (n = 6), and acute respiratory failure (n = 2). Three patients died. Among survivors, 4 patients showed a complete recovery while 9 developed permanent sequelae which were mild (n = 6) to severe (n = 3). Despite the Bacille Calmette-Guérin vaccination, tuberculous meningitis remains a life-threatening condition; vaccinated children have shown common presentation of tuberculous meningitis in terms of severity and poor outcome. Source: J Child Neurol. 2012 Jun;27(6):741-6. doi: 10.1177/0883073811426930. Epub 2011 Dec 21.